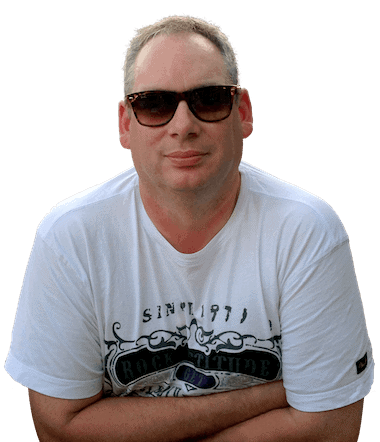 "We have created Serious Marketers Only as a "One Stop Shop" for ambitious marketers who want to know what really works and not what the latest gooroo wants to sell you"
Mark Thompson & Tim Goodwin here. We've been doing this online marketing thing for over 25 + combined years now. In that time we've generated millions of dollars in revenue and more importantly shown our members how to build their online businesses. As you’re about to discover - we like to do things differently. No over the top promises. No “loopholes” "ninja tactics" or shortcuts. Just tried, tested and proven STRUCTURED business models. Have you noticed how many online courses now cost $1,000-$2,000 dollars? Most are overhyped and over complicated. 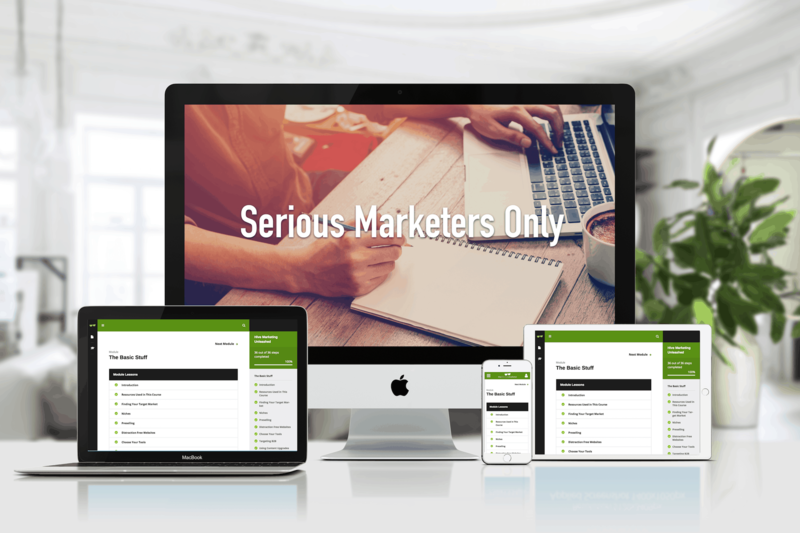 Serious Marketers Only will show you how to implement genuine methods that work without the ridiculous cost. 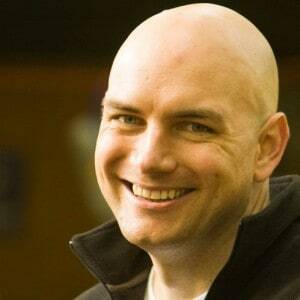 In Serious Marketers Only we dispense with the BS that pervades the Online Marketing world. Our focus isn't on the latest must have tools but on age old Techniques that still work to this day. 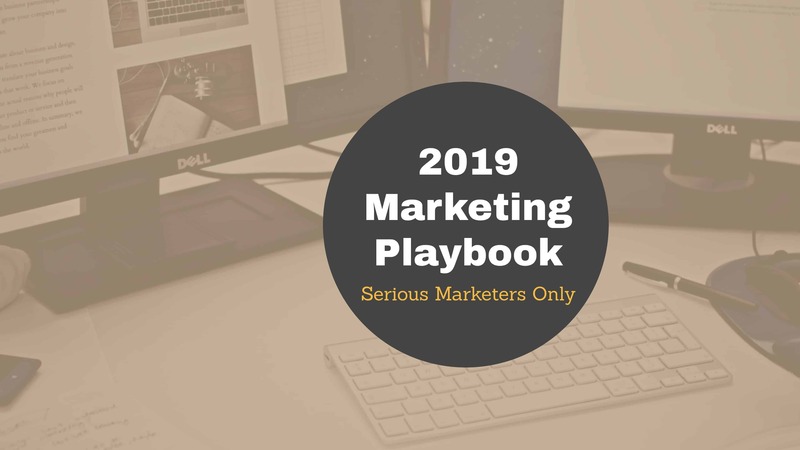 The 2019 Marketing Playbook focuses on building a simple online business that you can run in a few hours a week. We'll be building it out step by step, showing both the Theory AND the Practice so that you can build your business along side us. As part of your membership we have created a framework that that is designed to guide you through the often complicated world of online marketing. No matter what stage you are at you'll be able to zero in on the tasks you need to focus on. Need To Learn Some Skills? Below you'll see just a small selection of the topics our 40+ Courses and Frameworks cover. These are all immediately available within Serious Marketers Only as soon as you join. As you can see we cover a wide variety of topics that cover all the skills needed to build your online business from Planning and Productivity to Traffic and Monetisation and all the skills in between. On top of these courses we have regualr daily training videos in the members area. The usually show techniques that are working for us now. It’s time to stop winging it, kiss the guesswork goodbye and create a plan that works for YOU. "In Serious Marketers Only, unlike with many courses and memberships, You Are Never Left Wondering What You Should be Doing , From Day 1 The Team Have Your back All The Way"
Last night I was taking a video as my daughters each whooshed down the final zip line over trees turned out in their fall colors. We all had huge smiles on our faces as we enjoyed our evening together. Walking back to the camp store to turn in our gear I couldn't help but think about how amazingly lucky I am to be able to do things like that on weeknights with my kids - I left work for the day early and I didn't have to worry about scrimping and saving vacation days and hours in order to hang out with them. I had no boss breathing down my neck and I knew my business would earn me money while I was gone. That's real freedom. Real freedom means I can take dance lessons in the middle of the day with my husband (we can dance a fierce East Coast Swing now), and move across country to be back in the same neighborhood with my parents without looking for a job, or worrying about income. It means I am home with my kids and that they are joining me in the family business. It means I can tailor work to their particular strengths and the company and our family succeeds. Life is amazing with freedom. 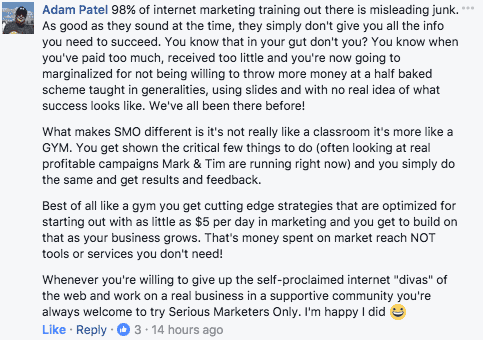 The training in Mark and Pete's "Serious Marketers Only" is what finally let me get to the world of real freedom. I've been working at it for years with moderate on and off success. But as soon as I joined Mark and Pete, my success started to take off. Now I have the tools and the support to create awesome results as long as I'm willing to put in the elbow grease. The screenshot below is my gross sales for so-far today from my (very cool) e-commerce store and I expect it to be triple that by the end of the day. I don't have to always be around to make that money. And I can travel wherever I want, when I want. That to me is worth every bit of effort I've put in. If you are serious about creating a lifestyle business that allows you to work from nearly any location and to pursue a life you WANT to live then Serious Marketers Only is for you. But it's not for wimps or sissies. You have to put in the work to build a real business. But the results... so freakin' worth it! My name is David Ginter, and I am a SMO-Aholic! I can’t even begin to articulate in words how the Serious Marketers Only forum has changed the way I approach internet marketing, but I will give it a try… Unlike similar groups that boast big systems with huge returns that deliver very little in quality, SMO provides an abundance of fresh content and over-delivers on every facet. Not a one-trick pony, SMO offers several viable IM business models that are constantly updated based on the ever changing landscape of the platforms they serve. Whether you are interested in physical products or digital content marketing there is something here for you that are gift wrapped and presented in full video training vignettes. Taking it one-step further, the SMO forum provides amazing low-cost traffic generating techniques that have re-opened doors that have been shut for a long time to old-school marketers. If you follow the techniques in this forum you will make money guaranteed. My partner and I have made over $40k in two months using just content marketing alone. Additionally, we cut our advertising costs by 80% utilizing the techniques presented in the SMO forum. This alone has significantly contributed to our ROI and is worth the admission price alone. Whether you are new to the business, or have been around, SMO is your one-stop shop that will take your business to the next level. I highly recommend SMO, and am looking forward to taking action in several of the other business models offered in the coming months and diversifying my income streams.
" ... Joining Is A No Brainer..."
" I lost my job last December, Thanks to mark and Pete I was able to continue to Support my family. So far I've made over $50,000 Dollars." " ... The Best Program - It Works..."
" I met my 3 month Goal in under 2 months ." " ... SMO Has Changed My Life..."
"...I signed up with the ambition to make $1000 a month. I've exceeded my wildest dreams. There are days when I made $500 to $1000..."
P.S. When you take action today and claim your membership, you’ll be able to leapfrog most advertising and marketing problems the “other guys” -- including your competition -- sweats about on a daily basis. You see, most internet marketing “gurus” are NOTORIOUS for selling only a piece of the puzzle, just for you to find out you need to buy their next product to get the next piece. But you’ll have an unfair advantage when you take action now and get it all.